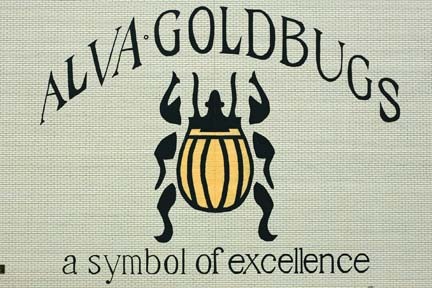 The Goldbug is the symbol for Alva High School's sports teams. Although the symbol seems a bit odd to other towns, those who grew up as Goldbugs would have it no other way. 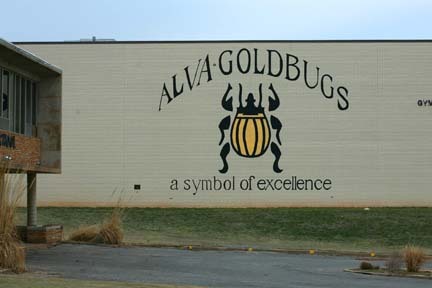 The Goldbug mural is dedicated to the teachers and staff, past, present and future, at all the schools in Alva. The Goldbug was donated by the class of 1960 at its 40th anniversary reunion on July 1, 2000. The mural was painted by Greg McClure and Grant Bowen, a high school art student.